This weekend marks the tenth anniversary of the infamous terrorist attacks on America. 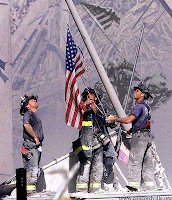 Once again our minds will be flooded with images reminding us of the loss and pain our country was forced to endure. The graphic images and sounds will remind us of the panic and horror we all felt during the uncertainty immediately following the attacks. While we were all shocked and scared, we didn’t give up. Hundreds flocked to Ground Zero and lent a hand helping the wounded. Thousands rushed to local blood banks to give a pint of blood. It seemed that everyone took a new appreciation in life. We all realized just how precious life is and how quickly it can be taken away. 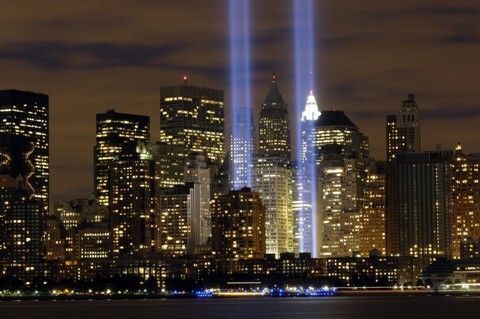 This September 11th I will think about the individuals that lost their lives and the families that they left behind. I will remember the devastation. But I will not waste time worrying about another attack or waste time being scared and feeling sad. Instead I will do what I think the deceased would want all of us to do and be thankful and appreciative of life.